Suzuki Motorcycle India is likely to introduce the Suzuki V-Strom 650 in India in August or September 2018, according to a report from Carandbike.com. The Suzuki V-Strom 650 shares design cues with the V-Strom 1000. The motorcycle will be available only in the XT variant, and likely to cost around INR 6.50 lakh (ex-showroom). The company showcased the Suzuki V-Strom 650 in India at the 2018 Auto Expo alongside the Burgman Street and the Suzuki GSX S-750. Suzuki will import the bike to India via the CKD (completely knocked down) route, which should allow it to price the motorcycle competitively in the Indian market. The V-Strom 650 will chiefly rival the Kawasaki Versys 650, so we can expect a price tag of around INR 6.5 lakh (ex-showroom). 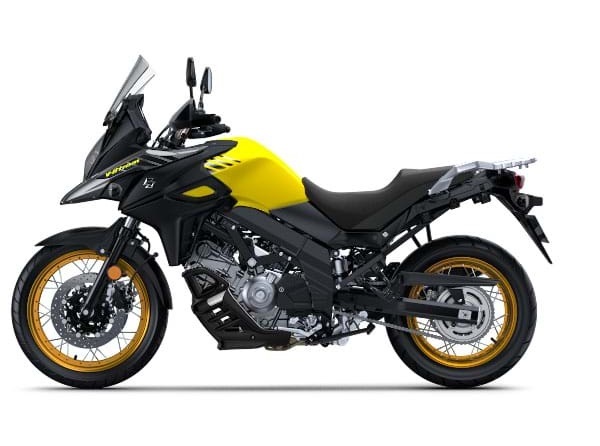 Suzuki offers the V-Strom 650 in two versions – standard and XT; however, the company is likely to only launch the Suzuki V-Strom 650 XT in the Indian market. While the standard V-Strom 650 is a road-biased touring variant, the V-Strom 650 XT is the more off-road focused model. The latter features aluminium rims with wire spokes, body protection, engine belly guard, and plastic handguards among others. The XT model also gets optional top-box, panniers and saddle stay. The Suzuki V-Strom 650 is set to become the third Suzuki model in India to assemble locally after the Suzuki Hayabusa and the Suzuki GSX S-750. 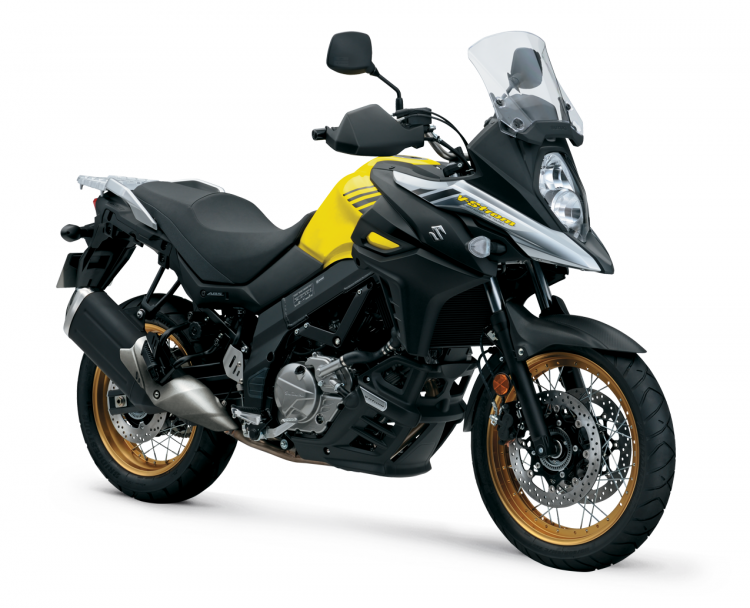 The V-Strom 650 shares its design with the flagship Suzuki V-Strom 1000. The motorcycle features a semi-fairing with high-set windshield and a 20-litre fuel tank, while it gets a comfortable single-piece seat. Powering the Suzuki V-Strom 650 is a 645 cc, 90-degree V-twin, liquid-cooled, four-stroke engine that is tuned to generate a maximum power of 70 bhp at 8,800 rpm while developing a peak torque of 62 Nm of peak torque at 6,500 rpm. The engine works in sync with a 6-speed transmission, while it delivers a claimed fuel efficiency of 24.3 km/l. The motorcycle receives two riding modes, low-rpm assist, switchable traction control, Suzuki Easy Start system. The motorcycle features wire-spoke wheels with dual-purpose Bridgestone tubeless tires. The wire-spoke wheels on the Suzuki V-Strom 650 XT pairs to Bridgestone Battlax Adventure A40 tubeless tires. The motorcycle features conventional telescopic fork at the front and a rebound adjustable rear mono-shock with remote preload adjuster. The V-Strom 650 XT gets a saddle height of 835 mm, as compared to 840 mm of seat height on the Kawasaki Versys 650. The Suzuki V-Strom 650 tips the weighing scales at a kerb weight of 216 kg.